Discussion in 'Announcements & Feedback' started by Hopeful, Oct 29, 2013. @Markku, have you ever tried contacting some of the prominent tinnitus researchers and asked them if they would like to do a Q&A / AMA session here on Tinnitus Talk? It would be nice to have an expert confirm/deny many of the theories floating around this site. Mainly, maybe, in terms of research, but also in terms of general advice. Maybe if we come up with some questions and agreed on the most interesting researchers in this thread, we could contact them. I have a couple of questions I would like an experts opinion on. - If stem cell research finds a way to restore the inner ear, would this automatically cure tinnitus in many cases (as the Hearing Health Foundation suggests)? - Currently the drug AM101 from Auris Medical shows promising results in treating acute tinnitus. What are the differences in treating acute and chronic tinnitus? And what are the fundamental differences between these two 'kinds' of tinnitus? - Here, on Tinnitus Talk, the currently most discussed research projects are AM101 from Auris Medical, MicroTransponder and Acoustic Neuromodulation (for tonal tinnitus) - what is your opinion on these projects and do you know of any other promising research projects? Yeah, we discussed this last week with the staff. We'll try our best to get this done ASAP. Anybody have good suggestions for researchers we should ask? Thanks for the questions so far, @Hopeful. Others, feel free to write yours down too. 1. I would like to know what Tinnitus is. Like how should I completely imagine this to be, visually. Is it neurons firing is it receptors blocking is it the auditory nerve not working, what is it exactly? 2. 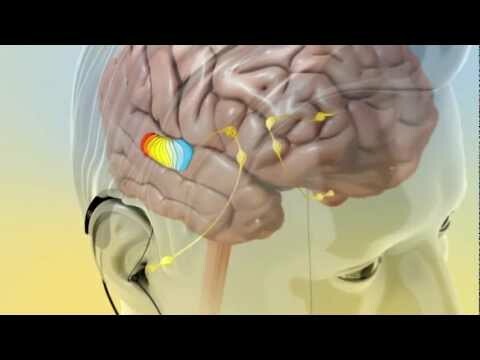 Is T localized in the hearing cortex or does tinnitus move around in the brain? 3. Why do we sometimes perceive the sound coming from the ear and sometimes enveloping the complete head space. 4. Why would T be in one ear first and than move to the other one after some time. Is this only caused by changes in the other ear or in the brain as a whole. How do the two halves of the brain communicate about this? How do you explain that about 1/7 people with tinnitus were cured by Low Lever Laser Therapy? I think laser is good for you erlend.I used it in 96 and t nearly dissapeared for 16 years.Use it every day. Hi Ozzy. That is a hypothesis of the firm which also use it as a promotion video of its product. With all the respect for The Tinnitus Clinic (www.thetinnitusclinic.co.uk), this is a good example on why it would be good to have a researcher answer questions. I could provide other resources telling you another story. 1) One of them is to fix the source of the problem, that is, to cure the cochlear damage somehow. If you fix that problem, the brain stops the tinnitus sound. 2)And second method does not focus on fixing the damage of the cochlea, but it tries to calm the overactive neurons in the brain causing the tinnitus. And "Low Lever Laser Therapy" is using the first strategy to eliminite the tinnitus. Yes, but as far I as know, many experts believe this hypothesis. (not just the company ANM who is offering "Acoustic Coordinated Reset Neuromodulation" therapy). I think this hypothesis explains many things. But, if you ask if I'm 100 % sure that this hypothesis is correct and explains "everything", I would simply answer "no". - Is mental trauma and/or stress enough to create severe and "incurable" T? - Could hidden hearing loss be a big part of the problem for many T sufferers? - Have you finally agreed on T being a brain disorder caused by external factors? - What country is aiming to resolve T issues the most in your mind? - Could Hyperacusis be caused by hidden hearing loss? - If neuroscience went ALL IN to join forces globally with the aim to resolve the T mystery, would it then result in a cure? Is this just a matter of money, investments, equipment, funding, manpower and will?! Indeed it does. I can't believe that only 300 researchers worldwide are working on research in an area that affects so many people. I think too many tinnitus associations (etc.) believe too much in habituation - not that I don't believe in it, not that it's not a great thing that one can "habituate", but c'mon. Seriously. 300 people. That's half of the amount of people employed on a medium sized local newspaper. I've already got two negative responses back to requests I sent a couple of hours ago. I wonder if offering the option of anonymity would increase the chances of getting someone on board. Then again, if username X comes posting some answers here, it may lack the necessary credibility. I will not give up just yet, but I'm not holding my breath either. If anyone has any connections they could use for the benefit of the whole forum, please be welcome to approach possible candidates. Or send a private conversation to me with further information I could use. If you know who it is and tell us it is a credible researcher, no one here is going to doubt that. Susan Shore at the University of Michigan is someone who immediately comes to mind. I'll think about a couple more tonight, but as Markku has pointed out, many of these people are going to be reluctant to speak on a forum like this about their research or innovation.